Over the years, anchovies have acquired a bad reputation as a stinky, overpowering fish. 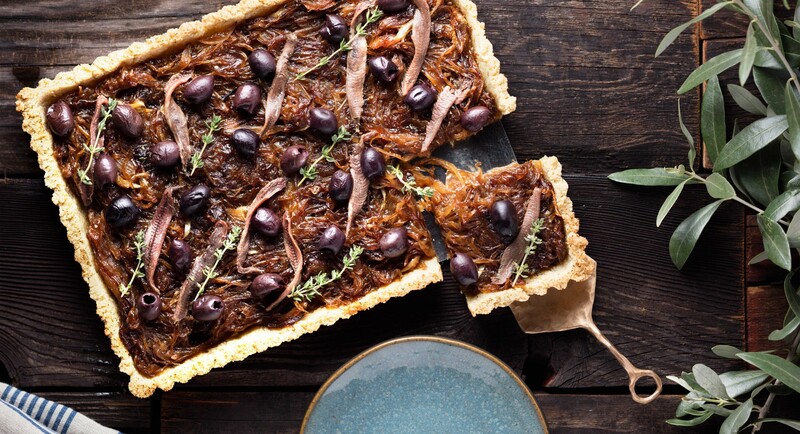 This tart allows their flavor to shine, complementing their brininess with equally salty kalamata olives and heaps of caramelized onions. In the bowl of a food processor fitted with the blade attachment, pulse together the almond flour, salt, and thyme. Add garlic and pulse again. 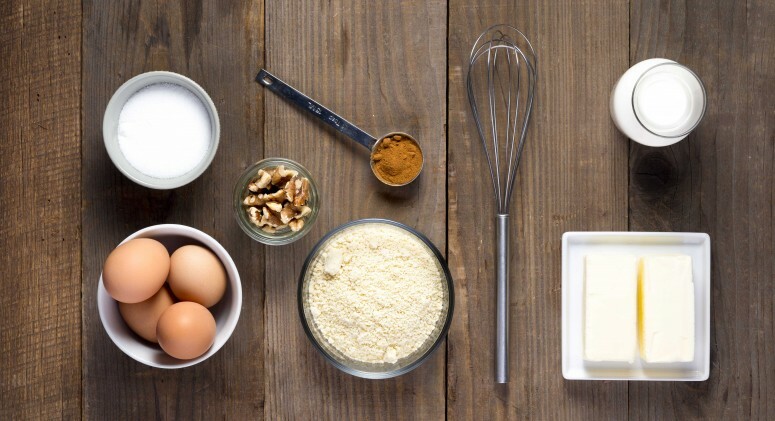 Pour in olive oil and eggs and process until mixture comes together as a dough. Press crust into the bottom and sides of a 11 1/4" x 8 1/4” rectangular tart pan with a removable bottom. Place in oven for 7 to 9 minutes to parbake, then set aside. In a large skillet set over high heat, combine olive oil and sliced onions. Toss to coat in oil and cook on high for 4 minutes. Turn heat down to low and caramelize until reduced in size and dark caramel brown, about 30 minutes, stirring occasionally. Stir in honey, sherry vinegar, salt and pepper, and cook 2 minutes more. Fill tart crust with caramelized onions and top with kalamata olives, anchovy filets, and thyme sprigs. Bake in oven 15 to 20 minutes. Let crust cool before removing from tin. Garnish with a sprinkle of Maldon salt.